149 rooms incl. 12 suites, 2 meeting rooms. Indoor pool, free WiFi, free parking, fitness room, media pods, lobby lounge area with home theater. Spacious rooms with luxury bedding, flat screen TVs with premium channels/HBO. The Bistro serving breakfast and dinner, 24/7 Starbucks, evening bar, 24-hr. market, landscaped outdoor courtyard. 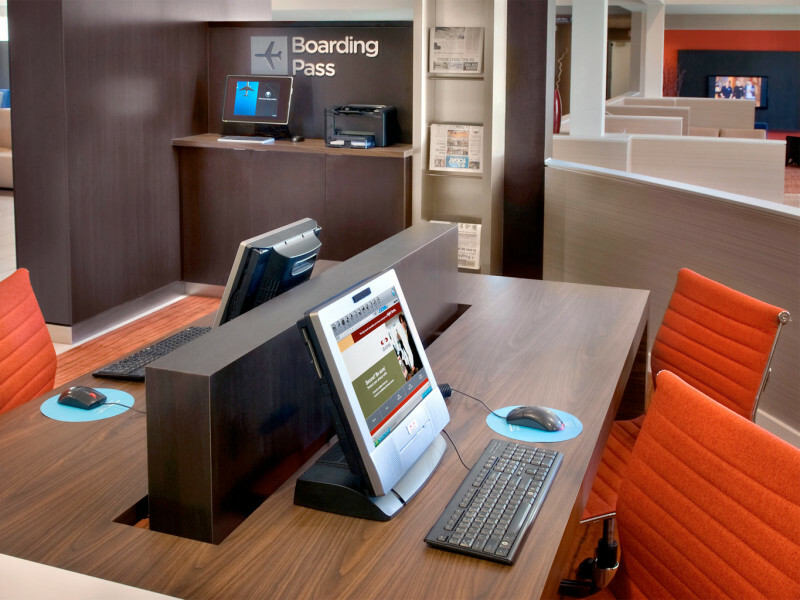 Business center with boarding pass printing station. Smoke free environment.